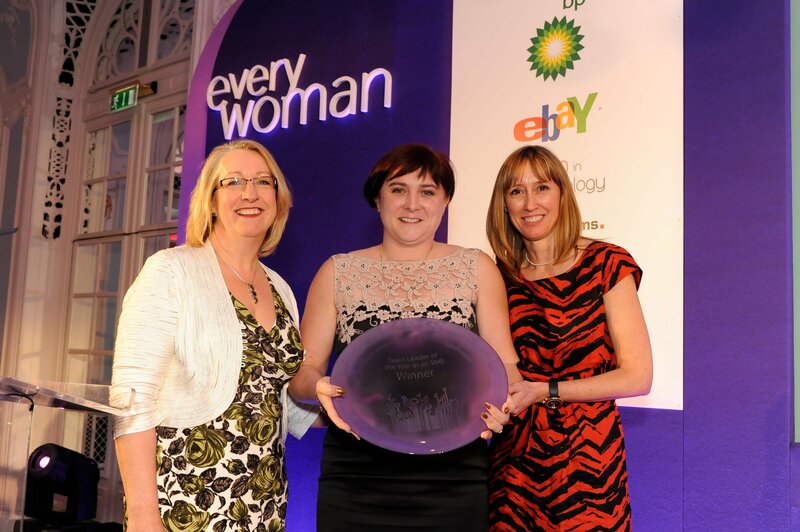 Team leader of the year: Winner Kirstin Duffield, CEO of Morning Data Limited, along with Rebecca George OBE FBCS CITP, vice chair BCS (category sponsor) policy and public affairs board and everywoman co-founder Maxine Benson. Since taking the reins at Morning Data, Kirstin has tripled turnover and client base. She is responsible for overseeing the company in all strategic and financial aspects but still provides innovative technical expertise when required. Kirstin invested 3% of the company turnover into an improved environment working and external training for every member of the team.